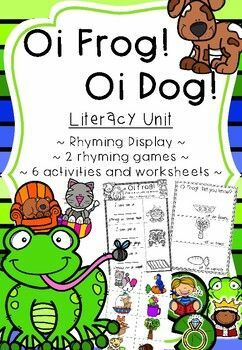 Have fun learning to rhyme with these engaging activities relating to the hilarious stories 'Oi Frog and Oi Dog!' This pack is full of activities and resources that will keep your students intrigued all week long! There is a huge variety included, with resources for displays, rhyming games, picture cards and worksheets.~Activities Included ~1.